On September 19, IBA client and SBA Region Five Exporter of the Year, Southwest Steel Coil (SSC), held an open house for the public to view their latest expansion in Santa Teresa. 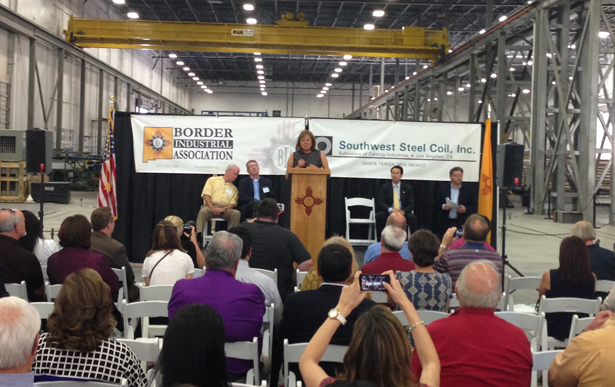 Governor Martinez was on hand to celebrate SSC’s success which led to a 20,000 s.f. expansion in March and the 35,000 s.f. expansion which was just completed. With the help the NMSBDC’s Gateway to Exporting program, SSW has increased its exports by almost $5 Million in the past two years. The IBA assisted in the organization of the event and the hosting of the governor.